There are now billions of devices connected to the Internet of Things and they are connecting with each other. The only criteria that these devices need is an on (O) and off (I) switch to become potentially smart since the most basic capabilities of IoT-connected devices is to be able to turn them on or off. Application Programming Interfaces (APIs) facilitates the linkage of smart devices to the internet. Their embedded chips allow these devices to have computing power. In the future, even objects as small as particles can be tagged with chips to communicate with other devices. 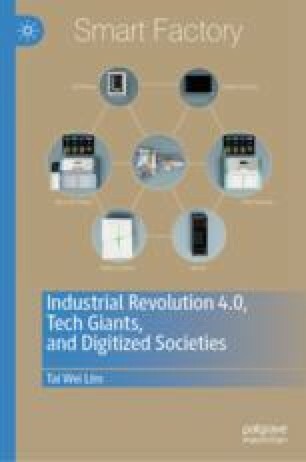 Horwitz, Lauren, “Can Smart City Infrastructure Alleviate the Strain of City Growth?” undated in Cisco.com website [downloaded on 1 September 2018]. Available at https://www.cisco.com/c/en/us/solutions/internet-of-things/smart-city-infrastructure.html. Mallonee, Mary Kay and Eugene Scott, “Comey: ‘There Is No Such Thing as Absolute Privacy in America’” dated 9 March 2017 in CNN website [downloaded on 9 March 2017]. Available at https://edition.cnn.com/2017/03/08/politics/james-comey-privacy-cybersecurity/index.html. Press, Gil, “10 Predictions for the Internet of Things (IoT) in 2018” dated 9 November 2017 in Forbes website [downloaded on 9 November 2017]. Available at https://www.forbes.com/sites/gilpress/2017/11/09/10-predictions-for-the-internet-of-things-iot-in-2018/#5289dda735e7. Weise, Elizabeth, “Feds Offer Ways to Make Internet of Things More Secure” dated 15 November 2016 in USA Today website [downloaded on 15 November 2016]. Available at https://www.usatoday.com/story/tech/news/2016/11/15/feds-offer-ways-make-internet-things-more-secure/93925944/.